When I picked up “my” Zero DS from the dealer, I was so happy about it that I showed it around as much as I could. I showed it to friends and family, on social media, and on motorcycle forums. Many people wondered how it was in real life. Okay, almost everyone asks about the distance you can ride it (have you ever heard that question when you bought a new gas/diesel vehicle, btw?). But, beyond range, many people were genuinely interested in the daily use. So, here we are: 6 months and 6,000 kilometers further. This article is about the day-to-day life commuting on an electric motorcycle, and at the same time, it is a technical review of the bike (a 2017 Zero DS with powertank). Where some electric cars seem to be hard to get your hands on, getting a Zero was very easy. 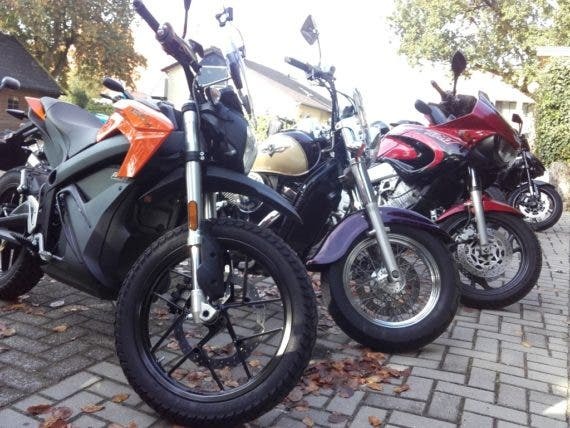 When purchasing an electric motorbike, there isn’t that much choice. I knew very soon it was going to be a Zero: they are the only brand available in the Netherlands with a decent number of service points, they have one of the longest track records in this market, and the specs are good for the commuting purpose I had in mind. The order was placed at the day of the test drive and 2 weeks later the motorbike was ready to be picked up. Yes, correct: 2 weeks. That must be hard to hear for people who made a payment on their Model 3 almost 2 years ago and still don’t know when they will get it. Are there downsides on the ordering process? Well, the people at Zero either have a marketing plan I don’t understand or they are inspired by Henry Ford’s “You can get it in any colour as long as it’s black,” but every model is only available in one colour. If you wanted a Zero DS in 2017 and didn’t like orange, then you had a problem. In 2018, you have to like moss green (or wait until 2019). It seems the insurance branch has some catching up to do to get with the times. The enormous torque of EVs is often celebrated, and after thousands of kilometers, I am still thrilled by the super-fluent, super-quiet, and super-fast acceleration. But if I have to mention just one positive point about an electric bike ride now, it is the smoothness. I mostly commute with the bike, including on many traffic jammed highways. 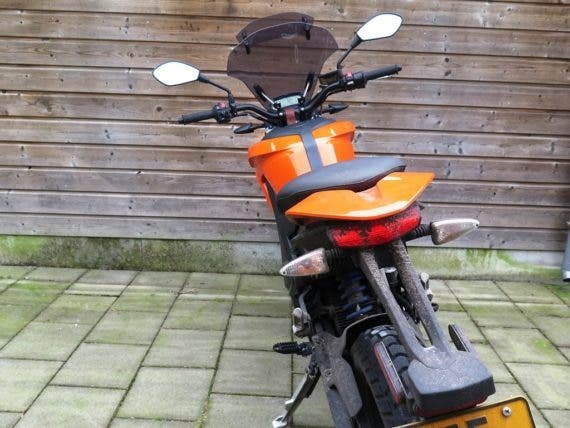 Lane splitting is (under certain conditions) allowed in the Netherlands, so many of my rides are in between rolling cars and ask full attention. The ease of not shifting gears or even operating a clutch and the certainty of always available torque are really great. I can actually state it is safer because there is full focus on the traffic. To be fully open: The DS is the first modern bike I’ve owned. Although I had the chance to ride many modern bikes — varying from big German all-roaders to Japanese racers — my private bikes were all old. So maybe my enthusiasm about the smoothness is partly because the bike is so new. But there is more: picture a traditional internal combustion engine (ICE) driveline — a set of up-and-down exploding pistons, and a crankshaft being forced to make a rotating motion out of that. 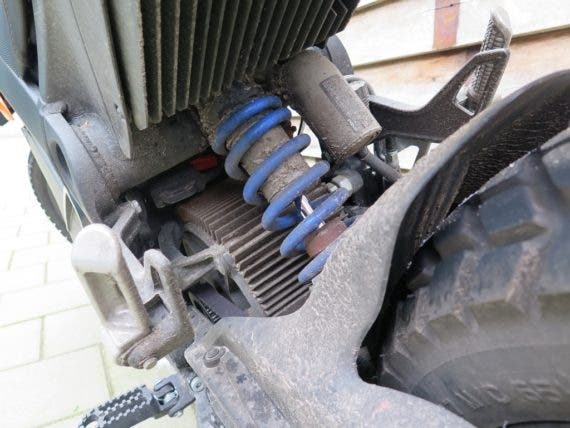 This shaft, on its turn, transfers this motion, via a clutch, to a gearbox from where the energy is released on a chain or driveshaft to finally reach the last sprocket in your rear wheel. Compare that to an electric motorbike: Electromotor → belt → rear wheel. Done. That makes a really smooth ride. The previous comparison might be well known to the readers here, but it’s nice to stress the inherent advantages of an electric drive over an ICE again. While being pleasant for me, smoothness will not be a decisive factor for most riders. So let me add one thing: IT IS FUN! The sitting position is upright, arms bent and wide on the large handlebars, the saddle is also wide and rather hard, the “tank” offers good grip to the knees. All this results in a very active riding position. The bike just begs you to accelerate, take over, switch lanes, and hang deep in corners. And, luckily, this is very well possible. Once rolling, the bike is super nimble, the weight (mostly of the batteries) is low, and the brakes are good (although the rear wheel could do more and the ABS there could kick in a bit later for my taste). The knobby tires offer an unsuspected amount of corner comfort. And did I mention it accelerates like a rocket? All in all, it is a really, really fun machine to ride. Even after half a year. Some people are afraid they will miss the sound, the vibrations, and the engine braking of an ICE. Personally: I don’t. When I was riding a 250 single-cylinder motorcycle on a trip abroad, I actually missed the nice zooming sound of the Zero, a zooming sound that rises in frequency and volume as you accelerate. A sound which becomes a symphony together with the sound of the tires (which you can actually hear on this bike!). A sound which turned out to be really addictive to me. Engine braking is not really absent. Okay, it is not as much as on an ICE bike, but there is regenerative braking — “engine braking” which sends back some energy to your batteries! From within the app, you can set the level of regenerative braking. When set to full, it is quite noticeable. It would be nice to be able to control it while riding, though. The Johammer (which CleanTechnica has covered a couple of times) has a throttle which works in two ways, for example. I think more electric vehicles should have a function like this. In the beginning, I missed the clutch, just because it is such an integrated part of normal bike riding. Oh, the countless times my left hand was searching for the clutch lever! But apart from not having to shift gears, there is not much to get used to in riding the bike. The keys, the controls, the dash … they all function as on a normal bike. And if you can miss out on wind noise, thanks to an optional windscreen on my Zero, there is only wind noise above legal speeds. Speaking of legal speeds: Will it go fast? Sure it does! Either from standstill or while riding, the Zero is always happy to take off with a thrilling acceleration that is eventually limited at 160 km/h. And is that really 160? A small, far from scientific test with a GPS device tells me it isn’t. The Zero’s speedo is a little positive. Is that bad? If you’re a highway racer, it might be. If you prefer curves, it isn’t. The Zero DS is best enjoyed in environments where riding means steering, braking, and accelerating. From a standstill, not all power is available immediately, which is a good thing — a smart computer is preventing the bike from either a spinning rear wheel or an airborne front wheel at every traffic light. Power comes in gradually over the first few meters and then … BAM. A slipping rear wheel only occurs if you purposely hold the brakes while opening the throttle or if you are accelerating on a pothole or the like. Which is scary! The few times this happened so far, though, it was easily corrected. 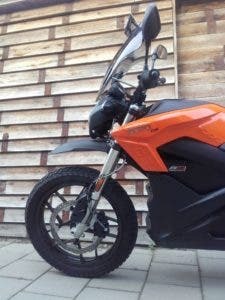 To me, this shows that the Zero isn’t the result of some enthusiasts slapping a battery and an electromotor in a frame — it is a well thought out motorbike, where the power is backed by proper suspension, good weight distribution, proper brakes, and a smart computer. It handles easy in every situation. Charging is done with a power cord surprisingly similar to one for a desktop computer. This was kind of a shock at first. “Is this it?” Besides that, what a convenience! Arrive at work → park it near a normal socket → plug it in → done. At the end of the day, the bike is waiting for you with a full battery. A stop at a petrol station might be a nice pastime on a day of touring with friends. As a commuter, when you just want to go home, when it is dark and raining, when you have to take off your wet gloves and helmet, and search for your wallet, then a petrol stop is just annoying. I had expected that lower-to-no fuel costs would be an advantage, but it is a nice surprise how happy I am to never stop at a petrol station. At my office, there is an extra (external) charger. With this option, the batteries can be charged at more than 2 times the normal speed — practical for when you need to leave sooner than at the end of your working day, or have to go out unexpectedly. It can work together with the onboard charger, which means that besides plugging into the standard cable, very conveniently, in a socket on the outside of the frame, you have to plug in a second cable. And wow, the location of that socket … it is truly amazing. It is on top of the electromotor, so to reach it, you have to sit down on your knees besides the bike and navigate the plug in between the rear wheel and the swingarm, over the drive belt. No doubt, this is the dirtiest area of your bike after a ride, especially in bad weather. And it is the last place you want to put your arm in, to blindly plug in a power cord. To top it off, the socket and plug are not really self-searching, so it takes some effort to match them, especially because your arm and hand, which are holding the cable and plug, are blocking all of the small amount of sight there could have been. It seems this option is designed by the marketing department; it doesn’t seem at all intended to actually be used. And fast charging? Fast charging was not available on 2017 models. Strange, because it was available earlier and it is in the 2018 models. 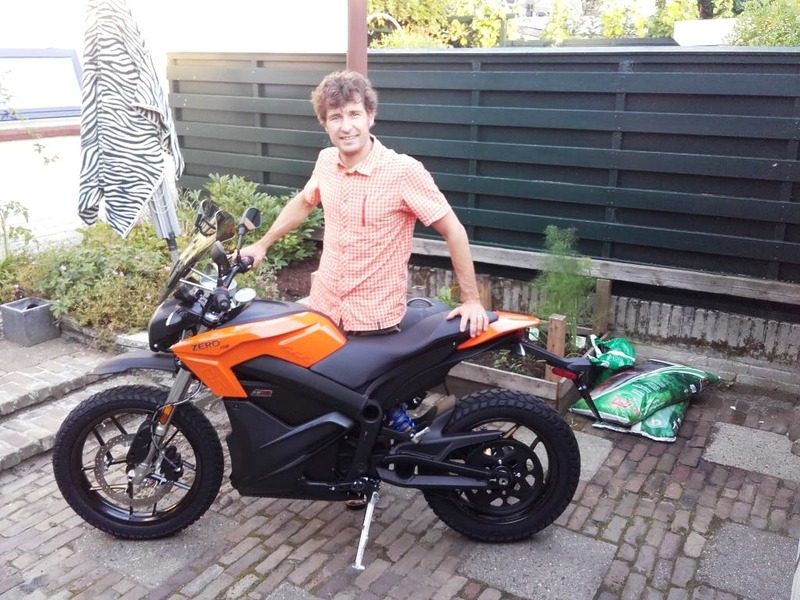 When I talked to the Dutch importer of Zero (who I met coincidentally at a tradeshow), he explained to me that Zero tried to get the 2017 models homologated in the EU with fast charging as standard and it was refused because of electromagnetic radiation. I don’t know if I understand it fully, but anyway: in 2018, fast charging is back, available as an option. I am sure this will help more riders to take the leap to electric bikes. Besides that, I am curious how it will work in practice. This option is called “charge tank” and it is installed in place of the normal dummy tank. So, there is no storage space on the bike anymore. The port used is a J1772 port, which means that in many public charging options, an adapter will be necessary. Should riders bring an adapter in a backpack at all times? I am curious to hear experiences. “How far will it ride?” Probably the most asked question to any electric rider. To be honest, I had some range anxiety at first, even though logically I knew that with a one-way trip of 30 kilometers there would always be enough battery. I decided to just give it a shot and experience the range for any other journey by myself. After half a year, the range anxiety got replaced by something else — a new way of planning rides. You just know where you go; you know your range and adapt your behavior. Visit a supplier on my way home? Check the distance and conclude the distance is far within range. Going up and down to a client a bit further off? Bring the cable for a little charge there during the meeting. And to be honest, is the trip too far and without a charging option? Switch to other transport. I have read reviews burning down the Zero after a test ride because of the low range, which is rather short sighted if you ask me. Because what do you do on a test ride? Right: Push it! And if there is anything influencing the range, it’s your right wrist. Continuous riding at the speed limit of the machine will drain its battery in no time. My daily commute is a mix of highway, small roads, and towns, and I easily get 150 km on a full battery. With longer rides on the highway, this would be around 120. And my record? I have actually never emptied the batteries. The Dutch importer of Zero told me once that there actually is some extra capacity after the display reaches 0% battery, but he couldn’t (or wouldn’t) tell me how much this is. A nice anecdote on this topic: Upon arriving at a yearly ride organized by the driving school where I got my license, there was lots of interest but also lots of jokes. They asked if I brought a very long extension cord to make it all day, for example, or if someone should get a towing cable so they could bring me home. 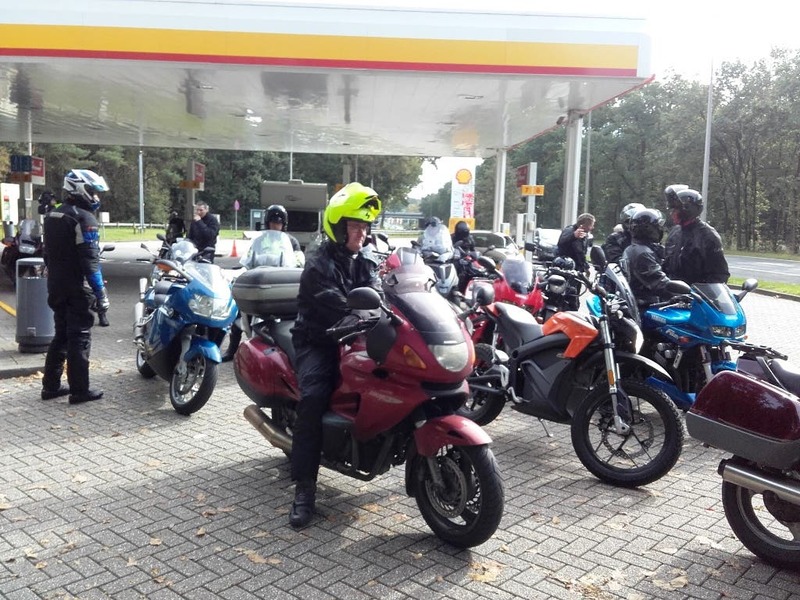 With 250 kilometers planned, it was a bit of a guess, but I left in good faith and at the end of the day, when all the guys with big talk were filling up their small petrol tanks and emptying their wallets, I could still laugh. We did over 250 kilometers that day and the batteries weren’t empty. Then there’s the cold — another factor well discussed in combination with range. The last 6 months had enough days with close to zero or subzero temperatures. Especially when the bike was parked all night in our very open shed and the batteries were really cold there was a noticeable difference in performance. I can’t say how much it affects the range just because I didn’t go so far. But both torque and top speed are significantly lower. Of course, maintenance is an interesting subject, but there’s not much to tell after 6,000 kilometers. The question is if there is going to be anything to tell anyway: with no engine oil, no fuel filters, no gearbox, and so on and so on. Unfortunately, I can say that the service of a Zero is good. Within 2 weeks, I let the bike fall over in a stupid way with a tiny but annoying bend in the handlebars as a result. The new bars were expensive but ordered quickly and they were installed at the first 1,000 kilometer service interval. Which in itself takes only 10 minutes because there is so little to service. 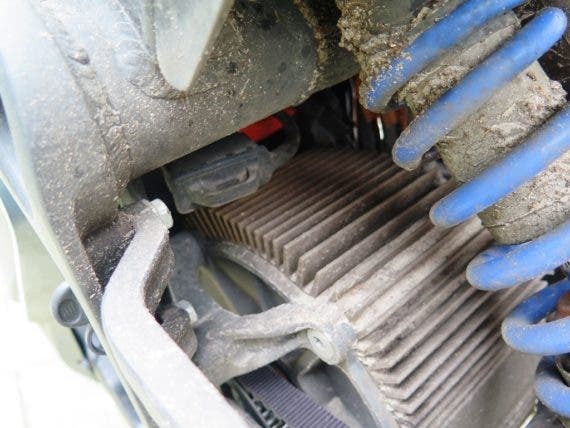 At 4,500 kilometers, the drive belt broke. It was in stock (would that happen more often, I wonder?) and after some pushing I could have it mounted the next morning, free of charge. 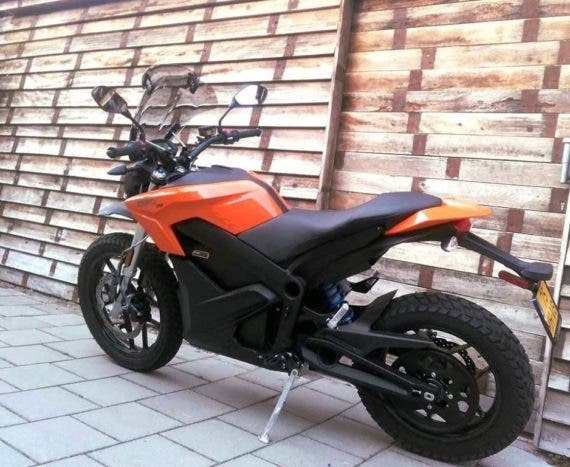 Of course, there is always room for improvement, so here a few points to share on that: For a (let’s be honest) rather small bike, the Zero DS has a surprisingly big turning radius. This makes it quite hard to park it in a smaller shed for example. The fact that there is absolutely no point on the rear of the bike to grab it makes this even more difficult. There is a license plate mount which looks sturdy, but it is made of plastic and is completely unusable to lift or drag the motor. About this license plate holder: There is an opening in the center. 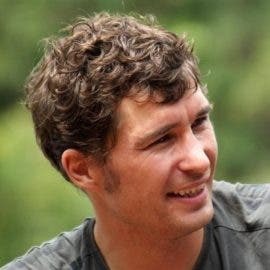 Visually, this is rather charming and I happily accept the counter side of it: mud on the back of your jacket and helmet. For those who don’t, there is an optional mudguard for sale. This is a €40, bike-disfiguring sheet of plastic with a function which shouldn’t be necessary on a bike of this price. 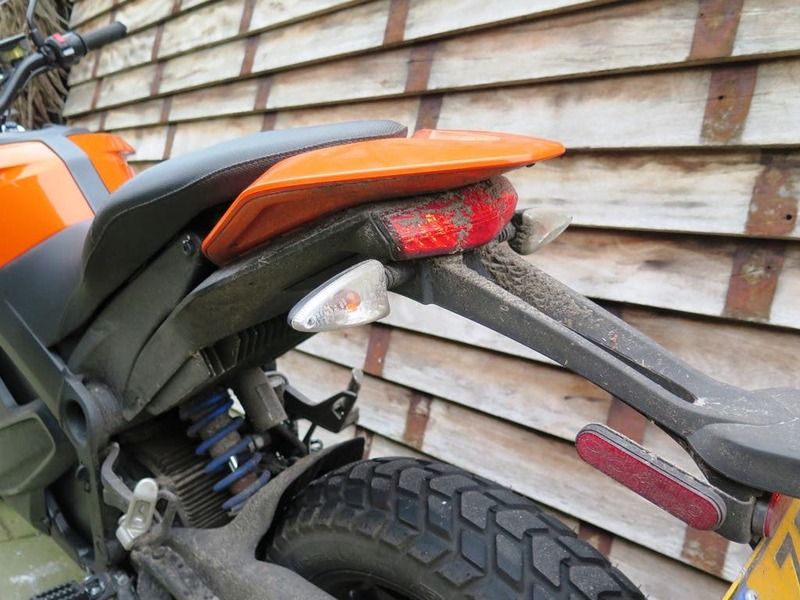 Because, okay, a dirty jacket is maybe acceptable, but a rear light made invisible by a mud cover is just unsafe and unacceptable. And then …. the app. It seems everything needs an app nowadays, so the Zero has one as well. The app’s quality is far behind that of the bike itself. Some of the functions are practical. You can change the setting of the custom driving mode with it, for instance. But the sliders for that don’t react nicely and every time I open the app, the limits are changed. Sometimes max speed can only be set to 130, for example, while the day after, I can set it to 143 … huh? Another potentially practical function is checking the charge status. Connection between phone and bike, however, is with Bluetooth. As long as you are within Bluetooth range of the bike … how much trouble is it to just walk to the bike to check the status? 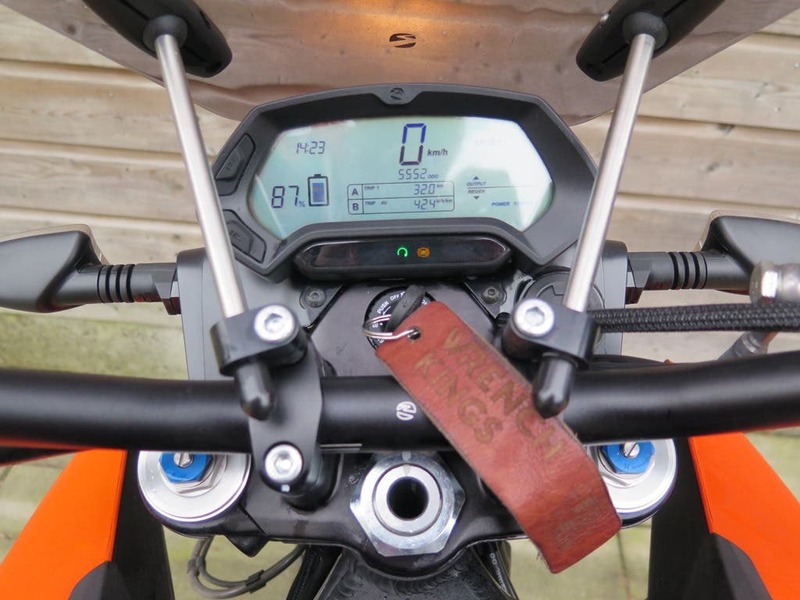 On top of that, Bluetooth is by default off on every start of the bike, so probably you didn’t switch it on and have no connection anyway. There is a function which shows logs of total kilometers driven, average kWh/kilometer, fuel costs saved, etcetera. Maybe it is nice to show off at a neighbor’s boring birthday party, but here again, Bluetooth is always off, so most likely the last data on your phone will be old. The weirdest function of the app is the virtual dash. And you can actually change a lot of setting on this dashboard. There are 4 different layouts, for example, and you can choose which data is displayed in which field. But why on earth would you need a second dash? So you can open your jacket while riding and check your speed on a phone? I really don’t have a clue. Last time I made connection to the bike, it warned me to go to the dealer to upgrade the firmware. But why not just download the firmware and update through the phone? All in all, there is some nice stuff to play with in the app, but the user friendliness can be improved a lot and there are unused opportunities to make the bike and the app function together as a better product. That was enough of complaints. Luckily, I can decide to ignore the app completely and, luckily, I spent more time riding the bike than parking it. Both of them are minor details, really. 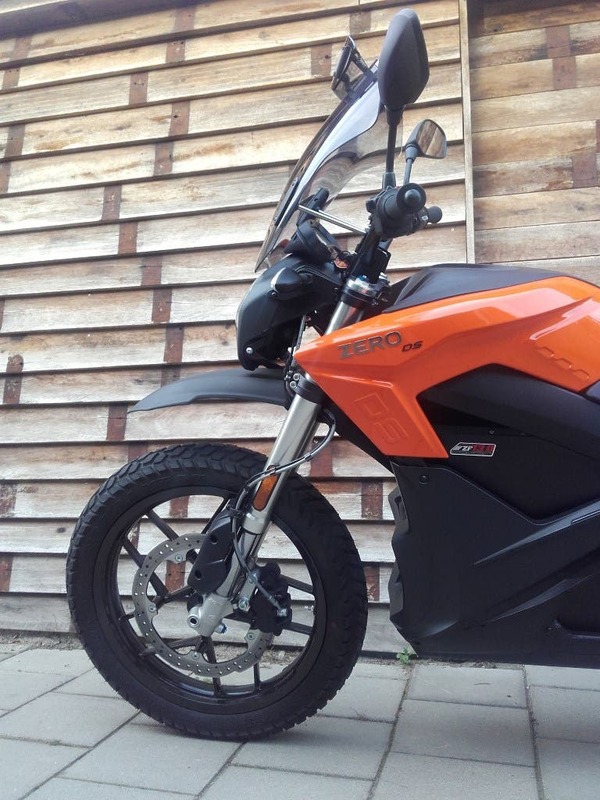 The overall impression after 6 months on a Zero is great. The bike rides fantastic. It saves me time. It saves me money. And it makes me start and end every working day with a smile. 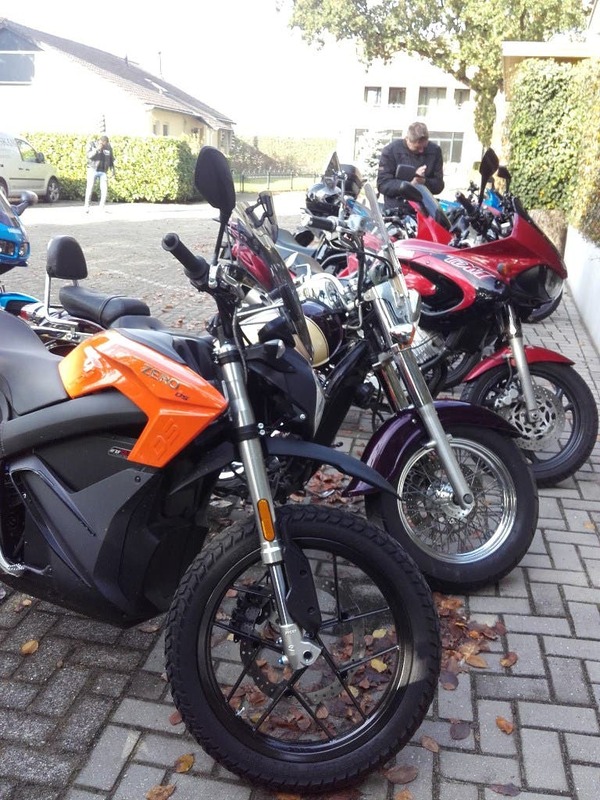 The 2018 models enjoy the return of fast charging, something which wasn’t on the options list in The Netherlands for a while for regulatory reasons. With this, combined with rising range and dropping prices, I can see more and more riders and more types of bikes going electric. The 2017 model, which I enjoy, will have to be judged for what it is and not for what it’s not. The same way you don’t judge a supercar for lack of luggage space and you don’t judge a family sedan for its top speed, the 2017 Zero DS shouldn’t be judged for its capacity as motorbike for holidays or endless days of highway riding. Just because it isn’t. Judged as a commuter bike, it will win every comparison. To me it is the best way and most of all the most fun way I can ever imagine to get to and from work every day. About Brecht: I am a converted petrolhead. I grew up riding and repairing (not always in that order) classic Honda mopeds, which evolved into classic motorbikes and cars. After getting my bachelor’s degree in product design, I got involved in all kinds of sustainability and renewable energy research and design projects — the last few years, specializing more and more in solar. Although I still enjoy the beauty of any classical piece of mechanics, my enthusiasm for EVs has the upper hand nowadays and I take any chance I get to share it.